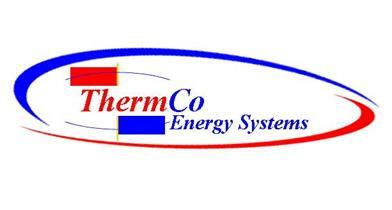 ThermCo Energy Systems offers solutions that are innovative and proven. Our products technology is compelling; with designs and models to help commercial businesses solve today’s high energy cost. Our markets are driven by Utility Power Companies, Federal, State, Local Governments, homeowners, and commercial business who understand the futures rising cost of energy. Understanding their need to reduce carbon footprint, recycle, and conserve energy will save real money. With financial assistance available; there is Stimulus Federal Tax Credits, Incentives, and Rebates to inspire businesses to go green, make changes, by design, replace, retro fit, or integrating alternative products help cure high electrical bills. Improving the energy performance of existing commercial buildings is essential for reaching goals for energy efficiency and peak electricity demand reduction. There is several advance technologies that aims to address this challenge through a number of technical experts, engineers, LEED advisors, utility power companies, refrigeration and HVAC manufacturers, lighting manufactures, distributors, installers, and end-users. A proposed retrofit solution for existing Commercial properties is a way the owners can review the energy efficiency and peak electricity demand reduction that could be installed. Neighborhood shopping centers or “strip malls,” small office parks, warehouses, large – medium - small box stores, and grocery stores can benefit from this significant energy saving opportunity. The buildings described above hold an energy profile that needs to be addressed and the overall goal of the proposed retro fit program is to develop cost-effective, commercially-viable integrated technology. Within a proposal it should identify regional locations, utility power consumption/charges, utility rebates, local state and federal governments incentives, identify businesses by name, project cost, investment return, up to a 10 year projected savings, and financing availably solutions. While most LEED Advisor and Energy Consultants often addresses the buildings envelope (windows, skylights, roofs), lighting (interior, exterior)), and controls, the heating/cooling, ventilation, air conditioning (HVAC) and refrigeration is often overlooked. This being the largest energy consumer in any business, they accept the so call EER / SEER rating. These ratings are a guideline and more often do not match the Regional location. The rating is a one size fit all. The tailored solution should be driven by a comprehensive understanding of the existing HVAC and if any, refrigerant equipment now in place, utility power consumption / expense, and characteristics associated with the building. The specific goals of the Federal Government has been supporting and driving towards a energy reduction program. Mostly by integrating advance efficiencies to reduce energy consumption and carbon footprint. Local and state government encourages the end user to implement strategies offered by the products manufacturers, designers, the building industry, and Utility Power Companies to offer incentives. Several states have legislation with initiatives to have zero net energy in commercial construction by 2030. The largest market is the medium and small commercial box style warehouse businesses and the recognition of these markets allows energy saving businesses to approach them in a unique way. This particular market has been researched and they can benefit the most from product retro fit solutions. The value of this approach is in addressing the need for retrofit of existing buildings, starting with a difficult market segment which is one of the largest energy consumers. The saving solution offers advance technology development that is tailored to just their needs by integrating technology to achieve load reductions across multiple building components and systems. The solution must consider the implementation and customer acquisition costs by minimizing the transaction and travel/mobilization costs that drive up the cost of retrofit programs. The need for end user to adopt the new products and technology must be projects or retrofits that are technically feasible and provide cost effective solutions with actual savings on their investments. The retro fits are considered to be a Green Energy Solution. The projects must result in deep energy and demand savings. The focus should be applied in a sector of the commercial buildings market that is currently difficult to reach. The products and strategies developed must demonstrated an instant reduction and provide a long term solution to the end user. A successful retro fit solution will provide a model for similar businesses to address energy efficiency improvements in other hard-to-reach retrofit markets. The overall solution is to utilize what is now in place and make it more efficient. Concentrating on the highest energy consumer to the smallest. Getting the greatest return on the investment in the shortest amount of time.